Our mission, vision, and values are at the core of what we do. Our history is as dynamic and inspiring as our present. AdventHealth University is a Seventh-day Adventist institution specializing in healthcare education in a faith-affirming environment. Service-oriented and guided by the values of nurture, excellence, spirituality, and stewardship, the University seeks to develop leaders who will practice healthcare as a ministry. AdventHealth University will be a leader in healthcare education, transforming the science and practice of whole-person care and developing influential professionals of uncommon compassion. AdventHealth University has a rich tradition associated with the pioneering healthcare (1866) and education (1872) reform movements started by the Seventh-day Adventist Church. The church now operates one of the largest worldwide networks of healthcare and education facilities in the world. The healthcare system extends the healing ministry of Christ to patients at 173 hospitals, 126 nursing homes, and 294 clinics around the world. The University campus is located next to AdventHealth Orlando – one of the largest medical facilities in the state – and for several years running the #1 rated hospital in Florida (U.S. News & World Report). The education system extends the teaching ministry of Christ to students at 7,579 schools serving over 1.8 million students. AHU is one of 114 Adventist colleges and universities operating throughout the world. This educational system represents the largest operated by any Protestant Christian denomination. We've been a spiritually-driven institution since the beginning. The history of the University’s Orlando campus extends back over a century. 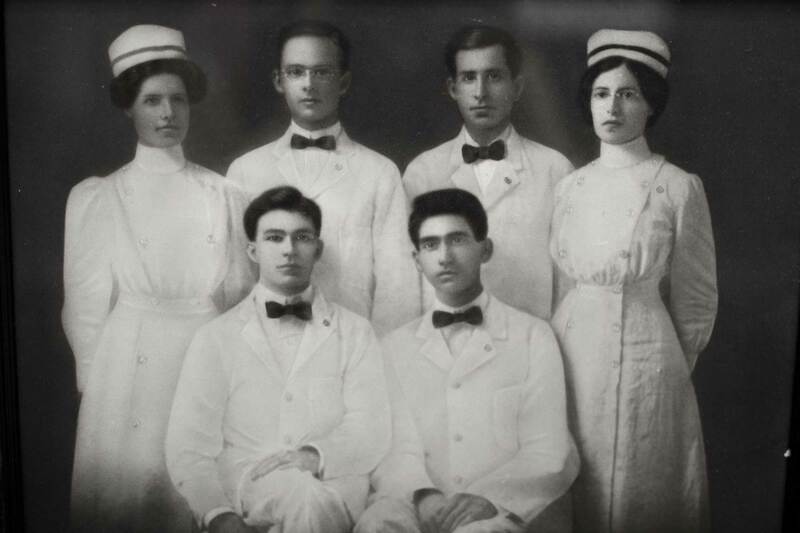 Nursing education began at Florida Hospital in 1913. Over the years, the hospital added programs in Radiography (1962), Practical Nursing (1964), and Sonography (1988). In 1992, those four programs were combined to form a new school, Florida Hospital College of Health Sciences. The school became a baccalaureate-granting institution in 1998 with the addition of a Bachelor of Science in Nursing. In order to reach distant students across the nation, AHU in 2001 became an early adopter of online education. The University offers online baccalaureate programs in Radiologic Sciences, Diagnostic Medical Sonography, Nursing, and graduate degrees in Healthcare Administration. In 2008, AHU began its first graduate programs offering a master’s degree in Nurse Anesthesia. Other degrees followed: a master’s degree in Occupational Therapy in 2011; a master’s degree in Healthcare Administration in 2013; a master’s degree in Physician Assistant Studies in 2015; and the first doctoral degree in Physical Therapy in 2016. AdventHealth University, partnering with the Adventist Health System, has become an institution of excellence and innovation. Currently, the University is doing pioneering work on the delivery of mission through a variety of educational modalities. Our vision is for AHU graduates to extend the healing ministry of Christ. The University continues to advance the work of that small church born in the middle of the nineteenth century by bringing transformation, innovation, and good news to the lives of its students and patients. Building on its rich educational heritage, AdventHealth University continues to grow as an institution committed to developing skilled professionals who live the healing values of Christ. These days, in more ways than one, we're part of something bigger. Being affiliated with AdventHealth makes us one of the most well-connected healthcare universities in the nation. At AHU, we believe in Service. As part of the curriculum, our students engage in service activities with intentional academic goals and opportunities for reflection that connects to their academic discipline. We've got the highest standards in health education. Just ask our accrediting agencies. AdventHealth University is accredited by the Southern Association of Colleges and Schools Commission on Colleges to award Certificates, Associate's, Baccalaureate's, Master's, and Doctoral degrees. Contact SACSCOC at 1866 Southern Lane, Decatur, Georgia 30033-4097 or call 404-679-4500 for questions about the accreditation of AdventHealth University. Note: SACSCOC is to be contacted only if there is evidence that appears to support an institution's significant non-compliance with a requirement or standard. The program's next review by the COA is scheduled for Spring 2020. At its July 2017 meeting, the Accreditation Review Commission on Education for the Physician Assistant (ARC-PA) placed the AdventHealth University (formerly Adventist University of Health Sciences) Physician Assistant program, sponsored by AdventHealth University, on Accreditation-Probation status until its next review in June 2019. More information about our PA program accreditation and our explanation can be found on the PA Program Accreditation Page. Graduation from a physical therapist education program accredited by the Commission on Accreditation in Physical Therapy Education (CAPTE), 1111 North Fairfax Street, Alexandria, VA 22314; phone; 703-706-3245; accreditation@apta.org, is necessary for eligibility to sit for the licensure examination, which is required in all states. Effective November 11, 2015, AdventHealth University has been granted Candidate for Accreditation status by the Commission on Accreditation in Physical Therapy Education. Candidate for Accreditation is a pre-accreditation status of affiliation with the Commission on Accreditation in Physical Therapy Education that indicates that the program is progressing toward accreditation and may matriculate students in professional courses. Candidate for Accreditation is not an accreditation status nor does it assure eventual accreditation. Now that you know all about us, we'd love to get to know you.